Revitalising the charity's web site and extending its reach through social media and generally broadening access beyond the immediate reach of the small team that runs and staffs the charity. Recently we have been giving our support to Home-Start Woking: a family-based charity serving the borough of Woking in Surrey. It’s part of a larger national network that thrives on the participation of over 15,000 volunteers. 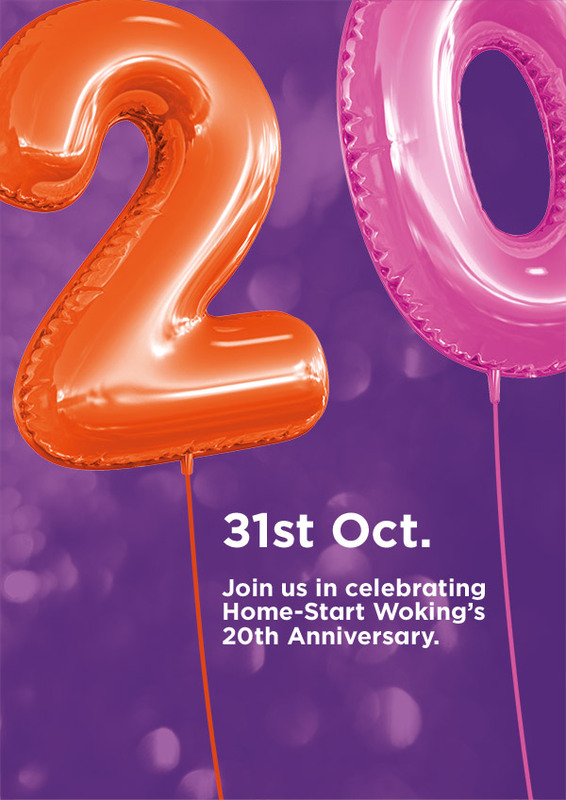 This year marks their 20th anniversary and Anatomised has donated its time to helping the Home-Start planning team create a celebratory event on the 31st October. In the process this has involved revitalising the charity’s web site, extending its reach through social media with the addition of facebook, twitter and YouTube channels, setting up online ticketing and donation pages, creating content and generally broadening access beyond the immediate reach of the small team that runs and staffs the charity. These initiatives will obviously have a benefit to the charity beyond the 31st of October celebration but having a deadline is always a great stimulus for getting things done. During the last twenty years Home-Start Woking has supported over 1500 families – that is to say, families with about 3,250 – 3,500 young children below the age of five. The support that their volunteers have provided has led to a positive and often life-changing effect on the families concerned. While the charity enjoys the relative security of a contract for services from Surrey County Council, year-on-year they have experienced a gradual reduction in funding from all statutory sources. Meanwhile set against this background of reducing funding the charity is experiencing an increase in demand for its services. These trends, reduced statutory funding and increased demand, are set to continue and reinforce the need for raising funds from other sources in order to continue to provide the quality of service they currently deliver. If you live local to Woking, do give them your support. Is the art of copywriting dead?